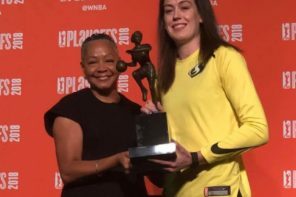 She’s the youngest player in the WNBA and came from the furthest away. 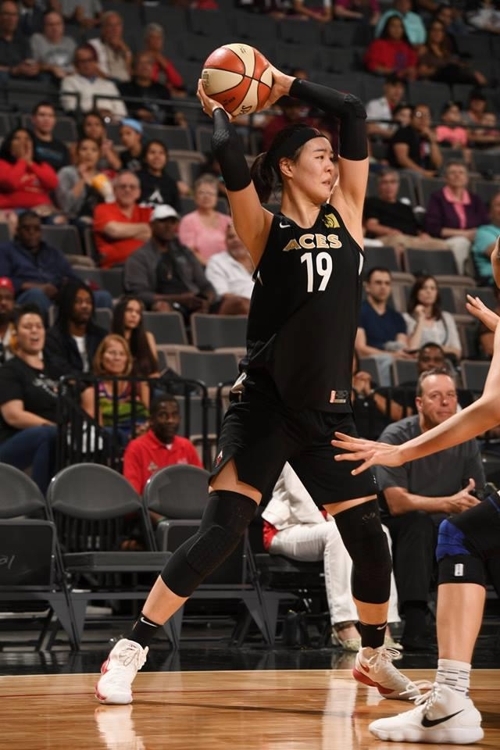 JiSu Park’s journey to the Las Vegas Aces puts the 6-foot-5, 19-year-old Korean in categories that truly distinguish her as unique. 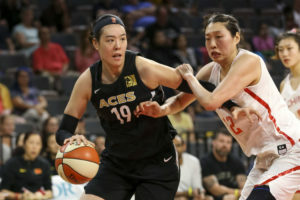 Born on Dec. 6, 1998, in Seongnam, just south of Seoul, Park is the first Korean player in the WNBA since three-time Olympian Jung Sun-min played for the Storm in 2003. Only Russian Maria Stepanova entered the league at a younger age. The Minnesota Lynx selected Park 17th overall in April’s draft, and she was soon traded to the Aces, where she has found a role with the first-year franchise. 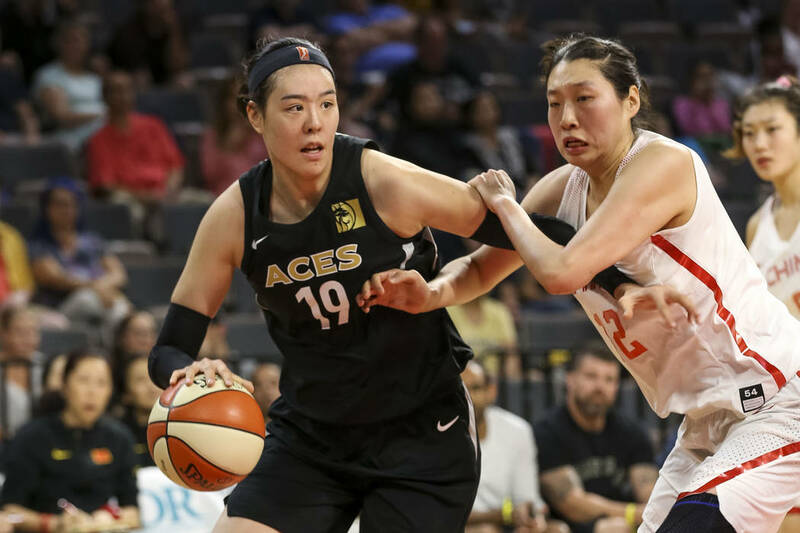 Certainly confident in Park is Aces coach Bill Laimbeer, who started her 11 times already this season, where she is averaging 13 minutes and about three points and four rebounds. 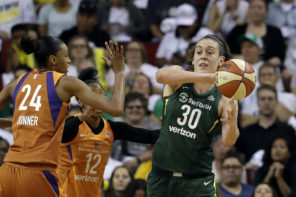 Adding that she became a fan of Candace Parker at the age of 13, Park has the fortune of playing alongside someone quite similar to the Sparks forward who was named league MVP as a rookie. A’ja Wilson, the No. 1 overall draft pick from South Carolina, is scoring nearly 20 points per game and grabbing about nine rebounds, as the Aces recovered from a 1-8 start to become a playoff contender. Park rose up the ranks playing in the Korean national team system. At the age of 13, she debuted in the 2012 Under-17 World Championships, averaging nine points and eight rebounds. Two years later, at the Under-17 World Championships in the Czech Republic, the 15-year-old Park led the event in rebounding with 13.4 and was second in scoring at 18.6 points. In 2015, she graduated to the senior national team as a 16 year old for the Asian Championships in Wuhan, China, where the Koreans took third place to earn a spot in the Olympic Qualifying Tournament. 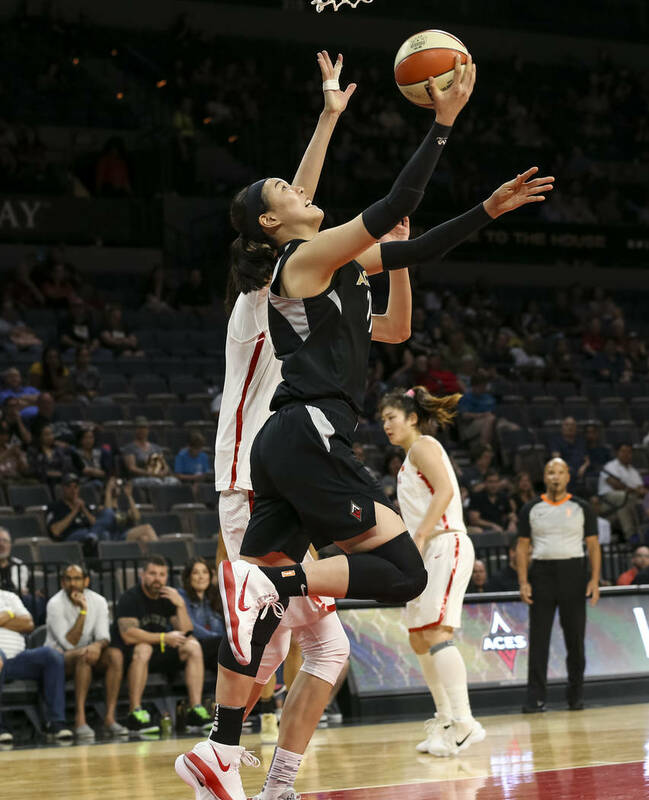 Park scored seven points per game and grabbed 10.8 boards in that event, as Korea placed sixth in a field where the top five teams punched their tickets to Rio 2016. Park is poised for her first senior FIBA World Cup, which tips off on September 22 in Tenerife, Spain. Korea is making its 15th-consecutive appearance, and is in Group A with Greece, Canada and France. Western players do fill rosters of the WKBL, where Park’s KB Stars team fell to Woori Bank in the Finals this season. Alyssa Thomas was the league’s Player of the Year, while the likes of Monique Currie, Natalie Achonwa and Damiris Dontas also played. The old days are unquestionably highlighted with Korea’s silver medal at the 1984 Los Angeles Olympics, albeit with the communist boycott. The team also placed silver at the world championships in 1967 and 1979, which it hosted. With Park on board, Korea could make the short journey to Tokyo in two years, which would be its first Olympic appearance since Beijing in 2008. Another international 6-foot-5 rookie center is Marie Gulich of the Phoenix Mercury. Despite playing collegiately at Oregon State, Gulich is originally from Cologne, Germany, and spoke of the differences. JiSu Park won’t even be old enough to gamble or check into a hotel on the Strip for another two years, but if she continues her progression, she could be one of the top attractions in Las Vegas for years to come.